Take Five: new music by guitarist Pat Martino, pianist Marta Sánchez, trumpeters Dave Douglas and Christian Scott aTunde Adjuah, and drummer Tomas Fujiwara. Fifty years ago, a 22-year old Pat Martino released his debut album, El Hombre, staking his claim as the next important voice on jazz guitar. This Friday, HighNote Records will release Formidable — Martino’s latest effort, a soul-jazz outing with a different point to prove. As if to invite an analysis of his progress, the new album includes a version of “El Hombre,” in the same key but at a less adrenalized clip. Martino is 73 now, an old-guard guitar hero in both boppish and fusionesque terms — and a survivor in more than one sense. 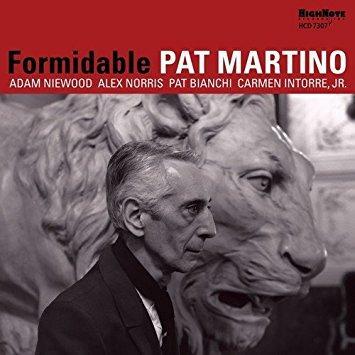 Formidable features his steadfast organ trio (Pat Bianchi on B-3, Carmen Intorre, Jr. on drums) as well as a pair of assertive guests (Alex Norris on trumpet, Adam Niewood on tenor), and the rapport is strong at every turn. Hear the guitar solo and you’re bound to agree: this version of his old calling card may radiate less heat than the original, but it emits a bit more light. Danza Imposible is the cool-tempered and insightful third album by pianist Marta Sánchez, an adopted New Yorker who originally hails from Madrid. 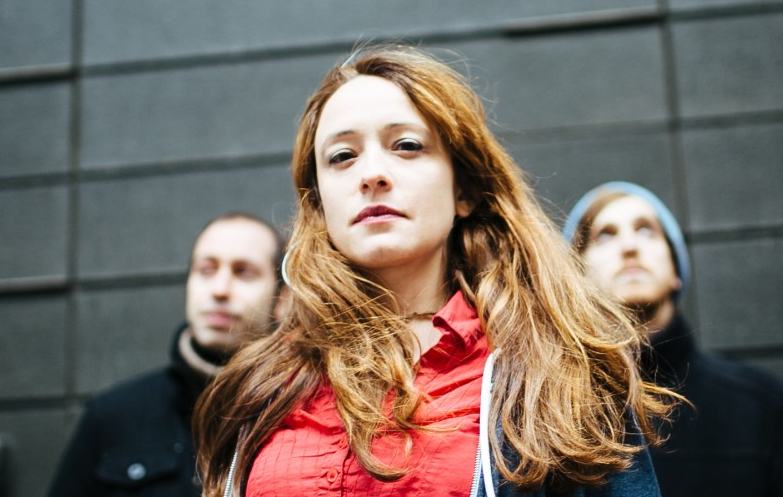 As with her previous album, Partenika, it features original compositions for a band with a saxophonic front line: Roman Filiú on alto, Jerome Sabbagh on tenor. The bassist here is Rick Rosato; on drums is Daniel Dor. “El Girasol” (“The Sunflower”) is one of the more sinuous tracks on the album — “written in seven,” as Ben Ratliff observes in the liner notes, “but with a triplet feeling running through it.” The groove bobs and floats, in a way that feels related to Jorge Rossy’s drumming in the old Brad Mehldau Trio. But Sánchez also scores her melodic counterpoint with a clockwork ingenuity that evokes Guillermo Klein. The overall effect is beguiling: intricate but not busy, solemn with a flicker of joy. Drummer-composer Tomas Fujiwara has worked in both tight and sprawling formation, always bringing deep focus to any spontaneous exchange. His calmly ecstatic new album, Triple Double, which Firehouse 12 Records will release on Friday, is in one sense a constellation of dyads: it features two drummers, Fujiwara and Gerald Cleaver; two guitarists, Brandon Seabrook and Mary Halvorson; and two trumpeters, Ralph Alessi and Taylor Ho Bynum (who technically plays cornet). The video above, shot during the session at Firehouse 12 in New Haven, is from an outtake of “Love and Protest,” with a sound that reminds me of an airliner holding a course through heavy turbulence. Let’s get down to brass tracks. (Sorry.) Dave Douglas, who founded the Festival of New Trumpet Music, is the ideal person to collaborate with The Westerlies, a new-breed brass quartet. Their new album, Little Giant Still Life, due out on Greenleaf Music on Friday, also features drummer Anwar Marshall, who knows how to bring muscle to a groove without a heavy trudge. This being a Dave Douglas project, there’s also a source of outside inspiration: the work of Stuart Davis, a defining American modernist whose paintings have more than a passing relationship to jazz. The album is named after a 1950 painting whose defining feature is the word “CHAMPION,” bisected with diagonal lines but as legible and graphic as a logo. Douglas seems to be thinking in that mode too: the pace here is triumphant, and the harmonies (the low rumble of those perfect parallels!) convey a determined gravitas. The installment plan has been working out for Christian Scott aTunde Adjuah. A New Orleans trumpeter in possession of a host of opinions, he decided to release his current project, The Centennial Trilogy, in three album-length installments, over a period of months. The final piece, due out Friday, bears a title of characteristic intrigue: The Emancipation Procrastination, suggesting a focus on systemic inequality and lingering injustice. The second single from the album, “The Cypher,” features a trap beat, a brooding minor key and a mournful horn melody over a drift of jewel-box piano arpeggios. The track inhabits a zone as well as a mood, and if the fade-out at the end is a little disappointing, it’s also a reminder of this track’s origins: as the soundbed for a freestyle rap by Wiki, in an installment of Complex City Cypher that also features A$AP Ferg and Your Old Droog.